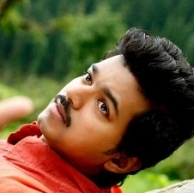 Looks like it’s going to be a grand delight for all Ilayathalapathy Vijay fans. When it comes to Vijay’s Puli, be it the shooting updates or the cast details, we have always been very proactive in bringing them to you. After the Thalakonam schedule which took place during the Pongal week, Vijay was seen shooting for some powerpacked stunt sequences. Apart from his unique body language and extremely well-versed dialogue delivery skills, Vijay is majorly known for his dance moves. Vijay has the rare quality to make a complex step look so easy and elegant. Now the latest we hear is that team Puli will be shooting a grand song sequence next, which would be choreographed by dance master Sridhar.